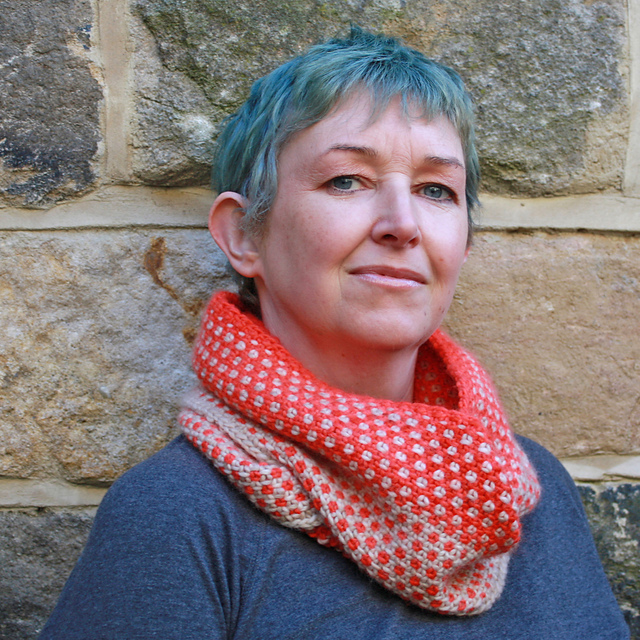 Joy McMillan, The Knitting Goddess joins me for a chat today and we talk about her life before dyeing, the dye process and the incredible British wool bases that she loves to create with and exciting tidbits about new yarns!! 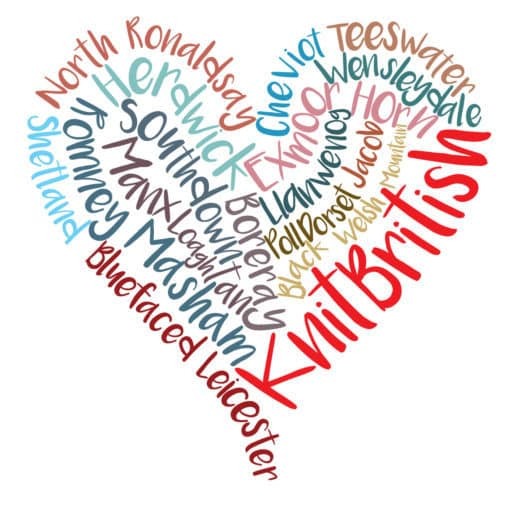 This month KnitBritish sponsored by Joy dyes luxury yarn in her studio in Harrogate and is committed to supporting British breeds and fibre in all her bases. 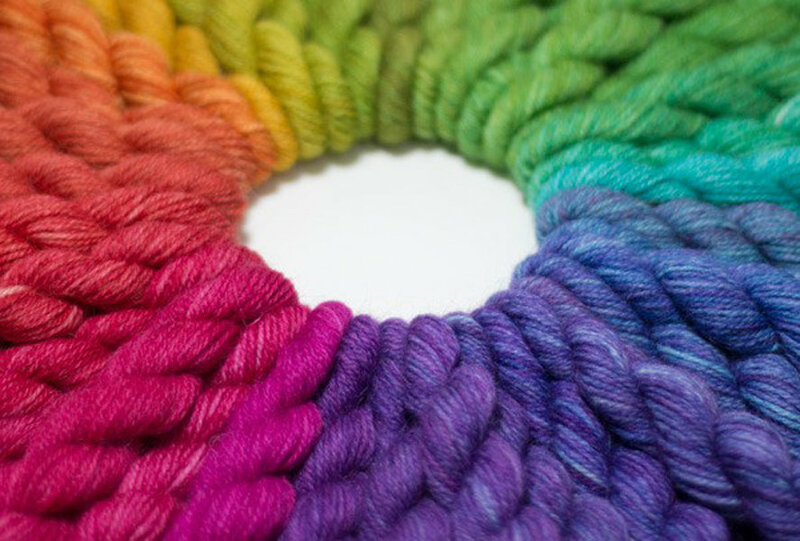 In addition to incredible yarns, such as Britsock and the new Wensleydale and Shetland 4ply you will find screen-printed bags and books, hand-crafted stitch markers and exclusive yarn clubs in her online shop. Click on the logo! 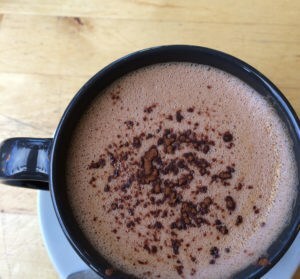 I was at Fluph a couple of weeks ago again. This time I was there for the launch of Rosedean Ryeland yarn, which comes from Ryeland flocks at Carnoustie, Angus, owned by Rosemary Champion. The wool is spun by the Natural Fibre Company and the resulting yarn is a lovely dark, peaty, smoky grey heavy DK 50g/110m. It is a really incredible creamy, plumpy yarn with a lot of character and knitted up it makes a dense, insulating fabric. 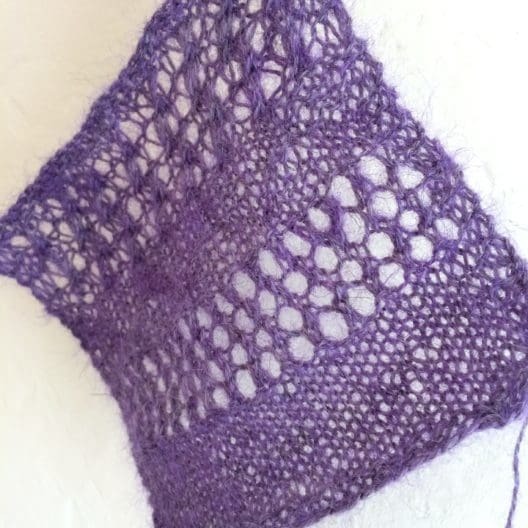 I quite fancy making Stepping Stones Shawl, by Katya Frankel and I think the lovely texture on the border will look incredible in this yarn. You can buy Rosedean Ryeland direct from Rosemary for a very nice £5.50. Go! Be enabled and support this top notch local yarn. KnitBritish podcast is going on holiday for the entirety of June. 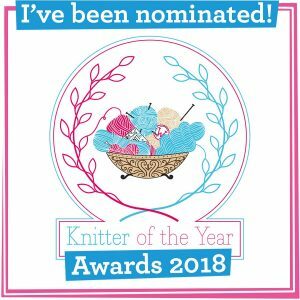 There will be an extra episode on Tuesday 31st May, featuring an interview with Sylvie of Phileas Yarns and then I’ll be back in your ears in July. The reasons for the break is that in my non-KB world work has pulled focus from some of the other things I want to do and so instead of doing some work that I don’t enjoy I’m gonna stop doing that – lie is far too short! I will be using the time to get a bit of balance and be working on lots of fun stuff when the podcast returns, including some (early days) collaborations and also some interviews and visits. I also want to look at our survey and tackle some of your awesome feedback (this part of the podcast could be subtitled ‘How Louise tries to explain nicely why things like Patreon are just not for KB’). It was an absolute delight to have Joy around to talk about dyeing, about colour inspirations and the importance of British wool in her work. Put the kettle on, listen in and join us. Throughout her working life – in banking, in a call centre and later in healing therapies – Joy has always had an interest in dyeing, which grew from a hobby into her main day job – Joy’s partner Bobbie says it was a hobby that really got of hand, in fact until Joy got her studio in Harrogate there was a joke that she didn’t dye in the kitchen, but they used to eat in her dye room! Joy is utterly driven to support UK wool and we discuss issues around British wool and also the fantastic trails which are being blazed in creating very special British breed wools and blends. 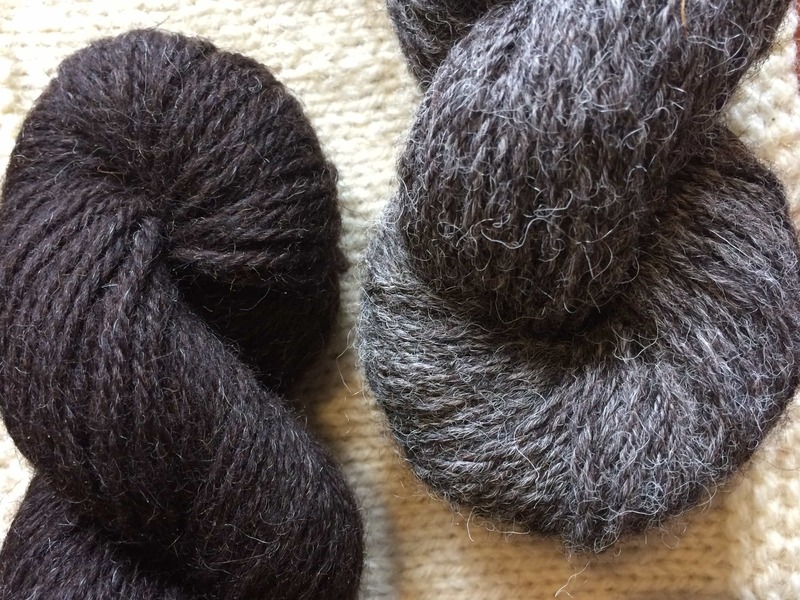 We also talk about the Wensleydale and Shetland 4ply that Joy has had custom spun at The Natural Fibre Company and hear exciting tidbits about other British wool blends which will soon make their way into Joy’s dye pots. The Knitting Goddess is going to be at a few upcoming events for your yarn buying pleasure. This weekend she will be at the Shepley Folk Festival, Leeds Wool Festival on 4th June; Yarndale in September (24-25th) and the Harrogate Knitting and Stitching Show in November. The Podcast is back on Tuesday 31st May with a lovely chat with Sylvie of Phileas Yarns and also Karie Westermann will pop by to give us the low down on her upcoming Kickstarter for her book This Thing of Paper! Thanks for the lovely book. I really enjoyed reading it. Loved your podcast this week and for introducing me to the Knitting Goddess, who is virtually on my doorstep. Thank you for the podcast Louise, I’ve been listening for a couple of months now and look forward to hearing you. I was very interested in Rosemary Champion’s Rosedean Ryeland wool, I live in Herefordshire and am so proud that these lovely sheep originated here – we actually have a street called Ryelands Street! Leeds Wool Festival is Saturday 4th June, not 5th. Previous Postepisode 59 – Back it up! Next Postreasons to be cheerful – books books BOOKS!